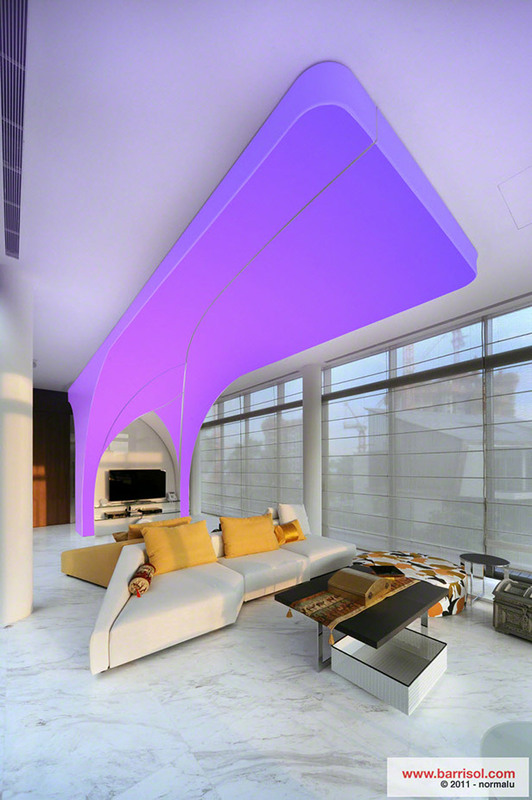 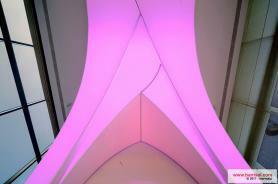 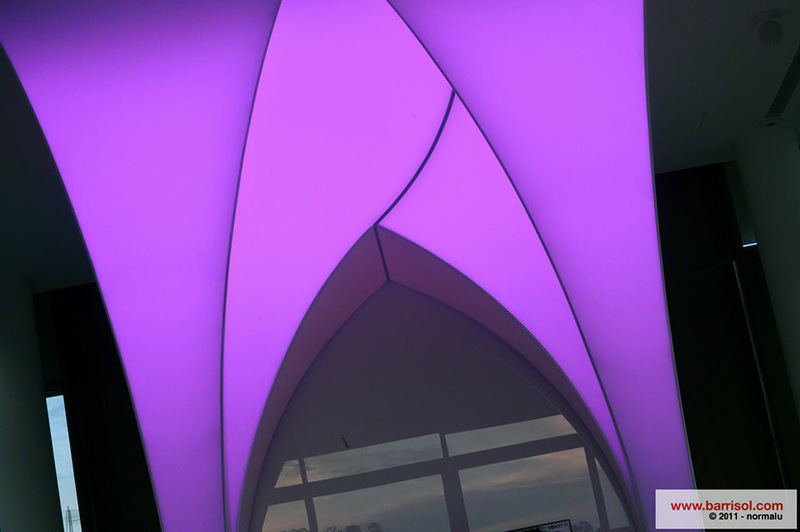 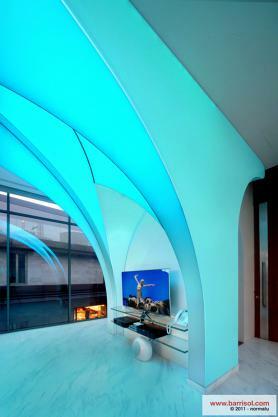 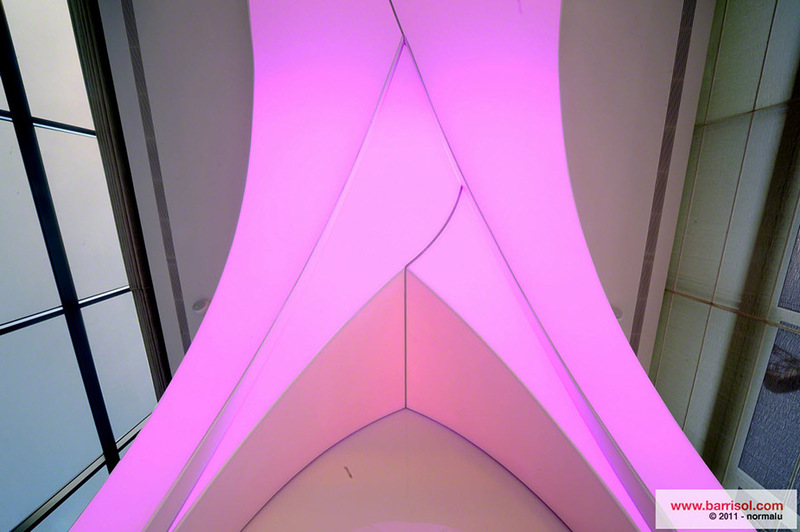 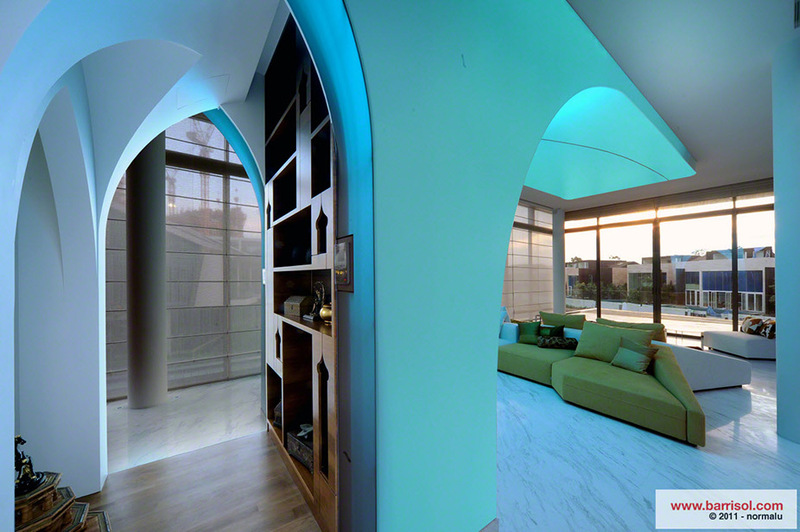 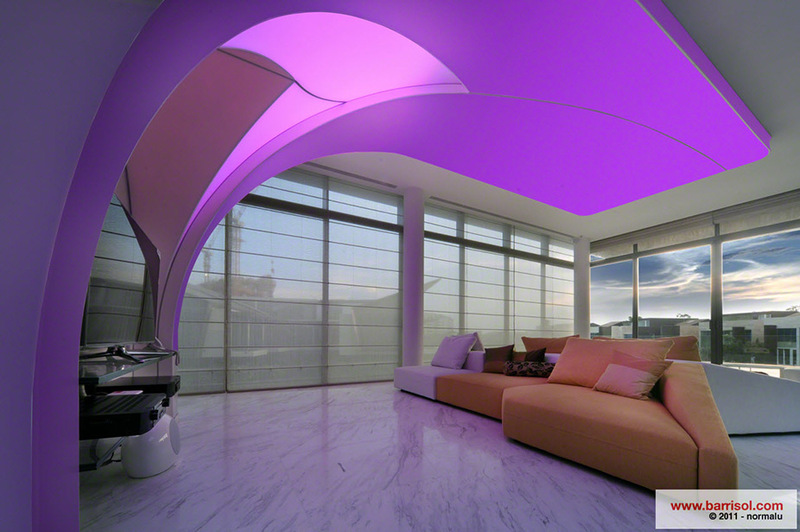 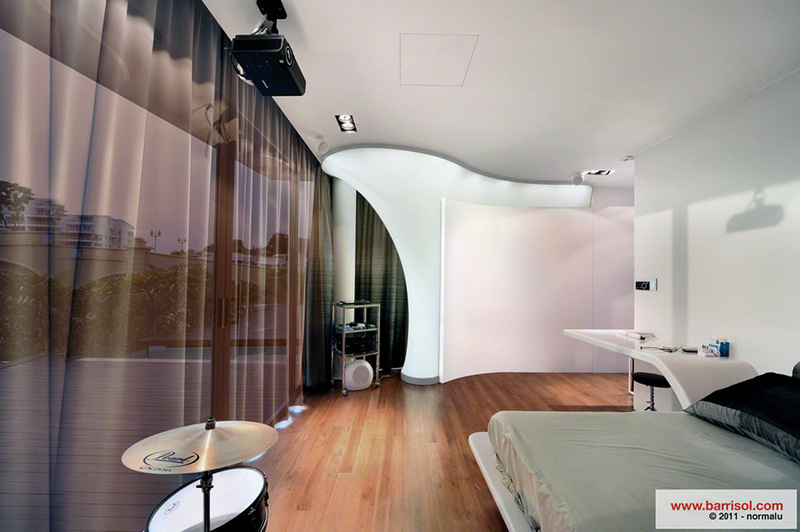 Singapore design studio ETHOspace PTE LTD created this imaginative 3d shape covered with Barrisol translucent sheet and backlit with light changing LED’s system. 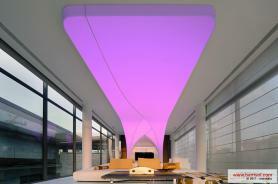 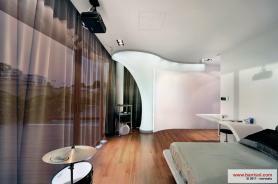 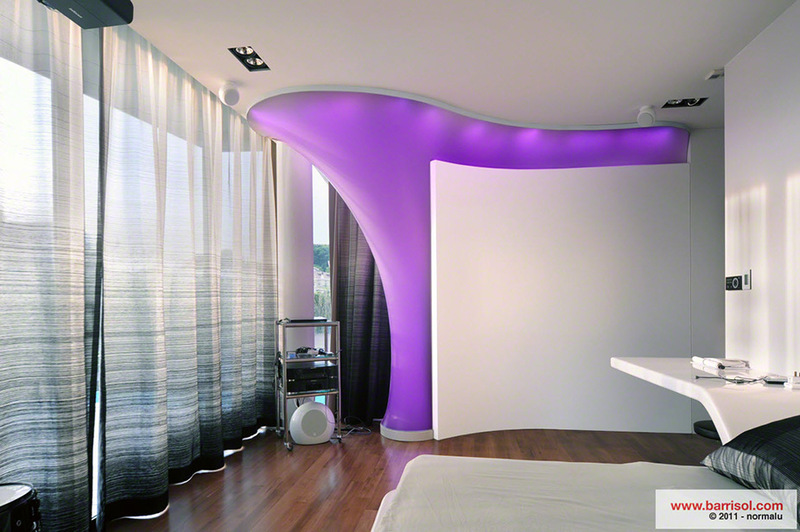 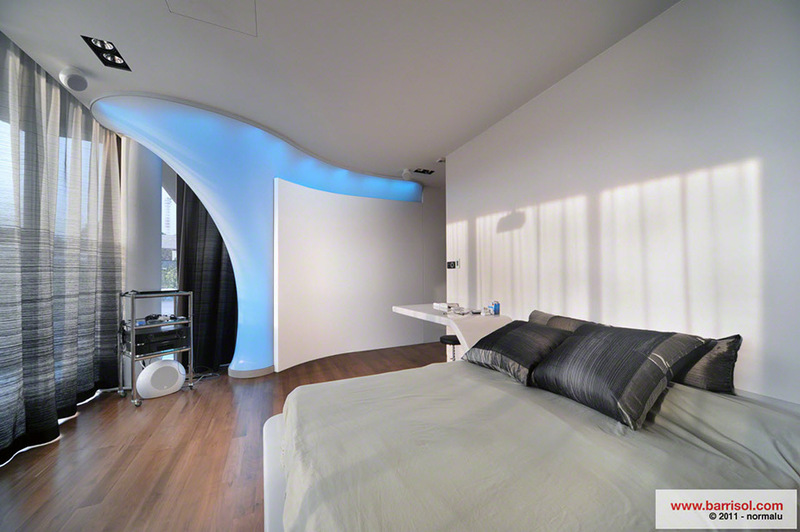 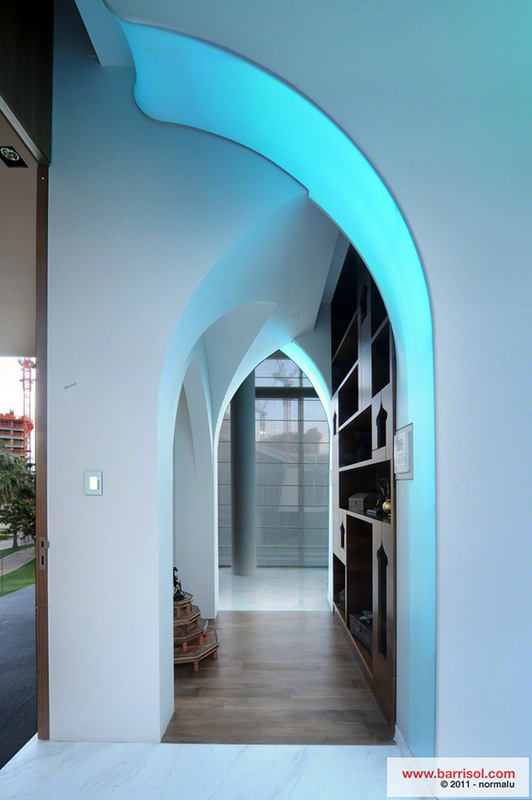 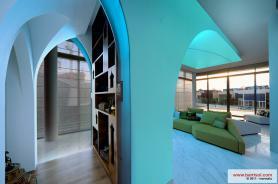 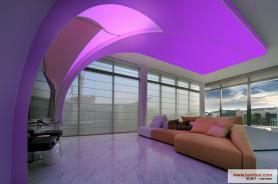 The light emphasizes the flexibility and fluid aesthetic’s of the Barrisol. 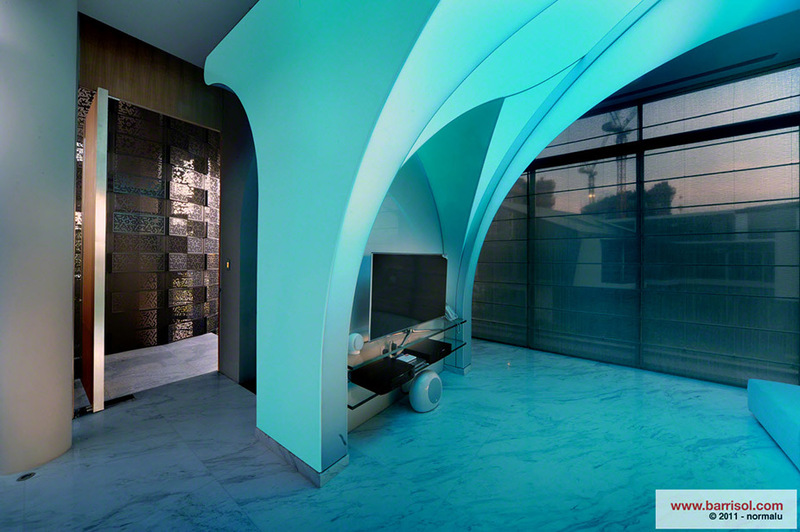 Beauty of movement, curve of shape and the pottery of the object all work together for this creation.